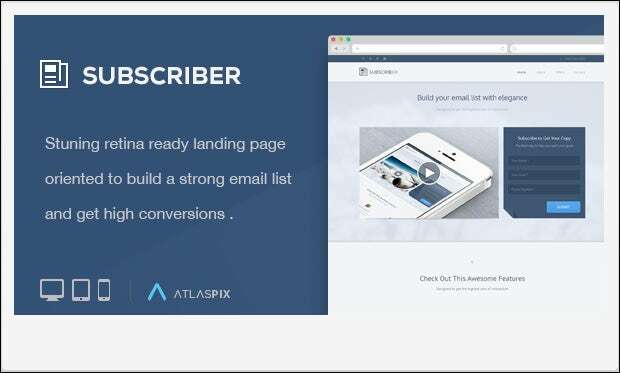 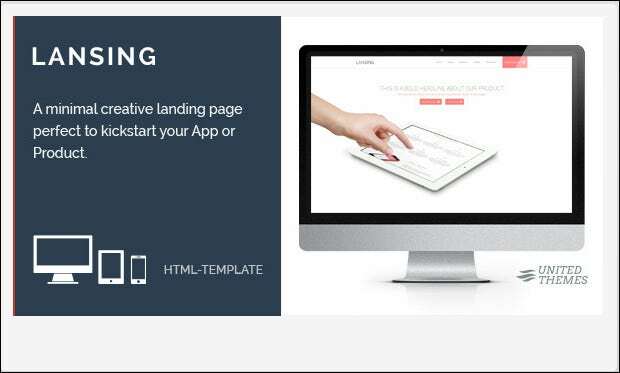 Landing pages are the core essentials for any given website as they can help generate higher traffic count alongside providing a better viewing experience. 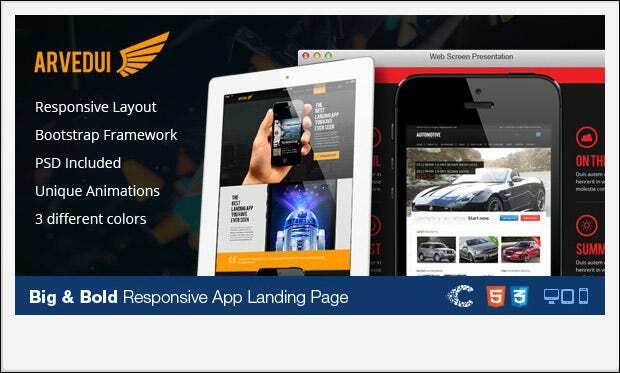 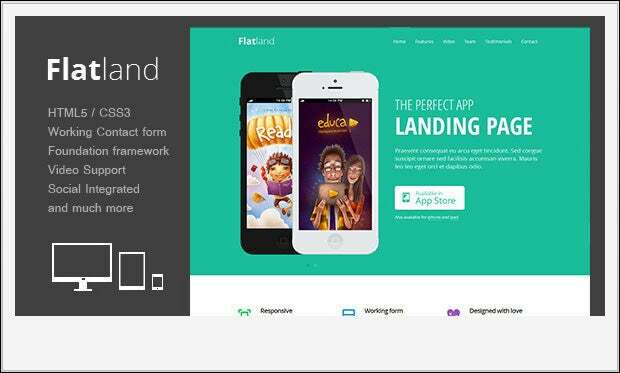 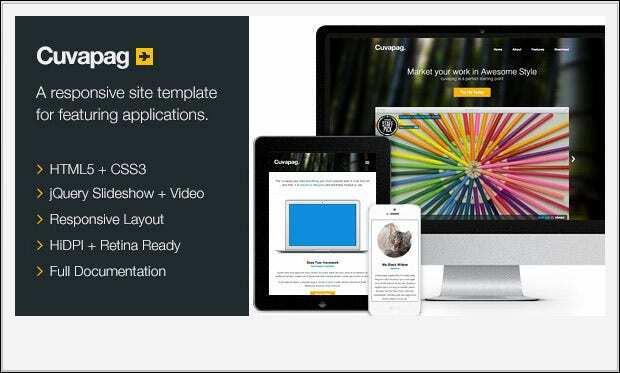 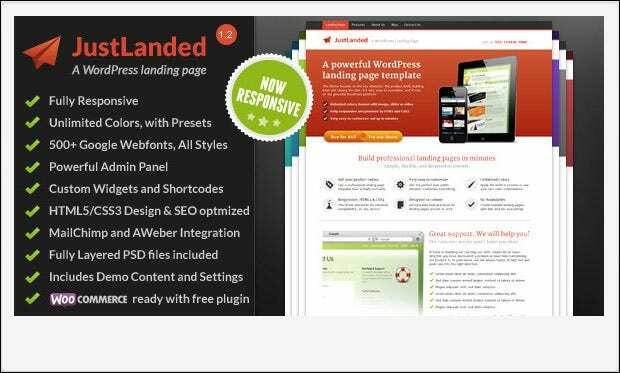 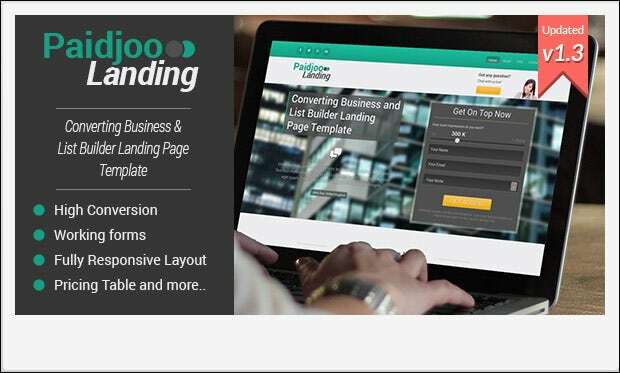 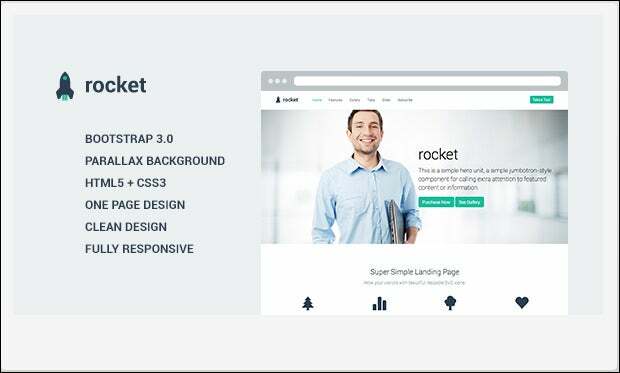 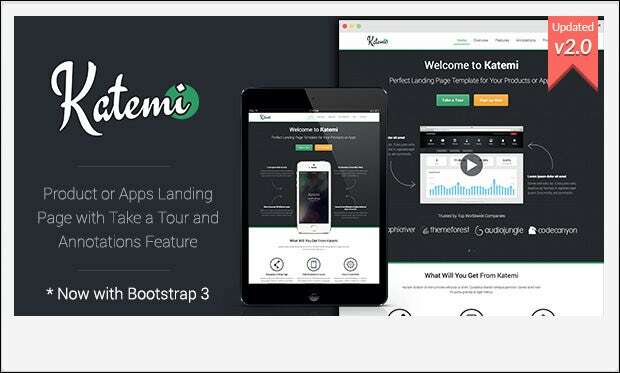 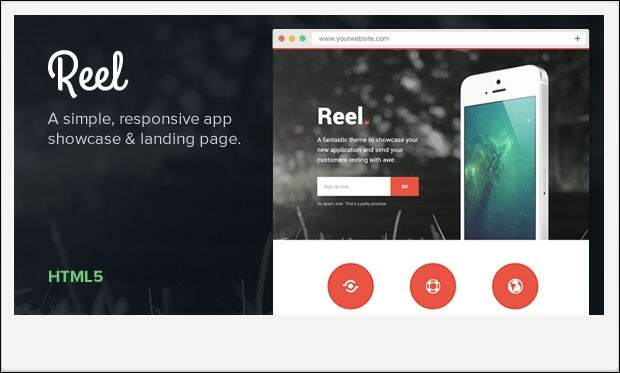 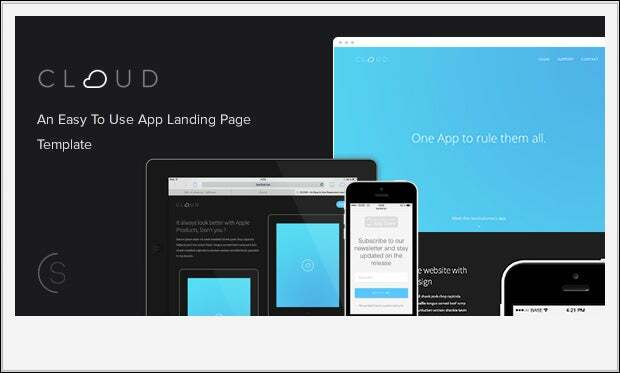 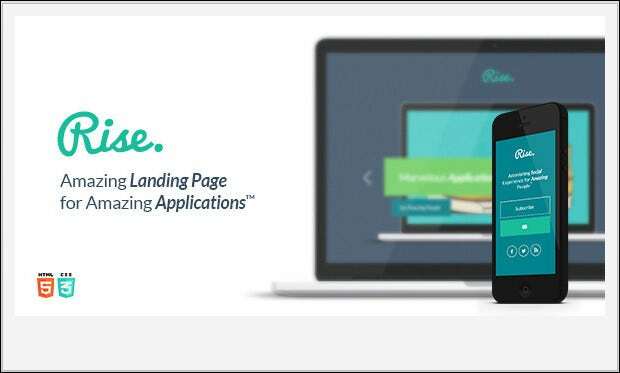 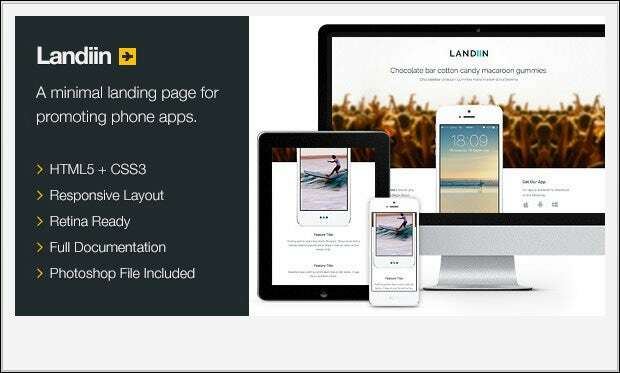 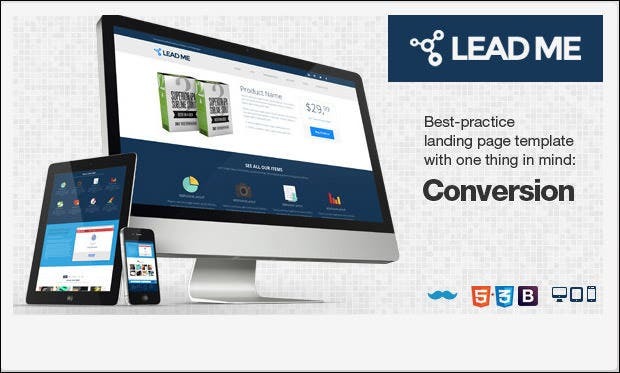 Selecting the Top responsive landing page templates can thus come in handy for the professionals who look to accentuate their site rankings by adding sleek yet resourceful options along. 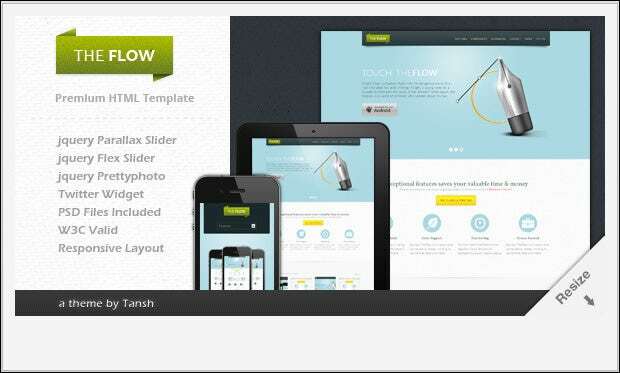 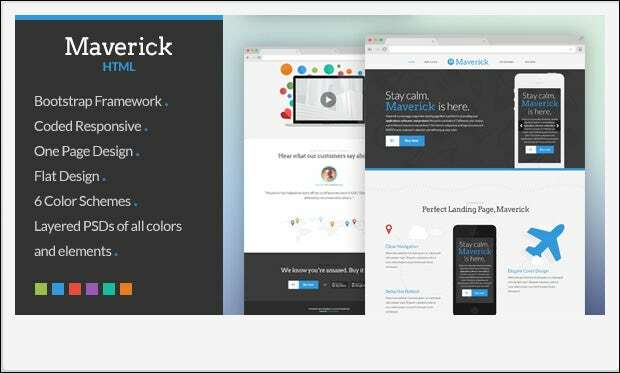 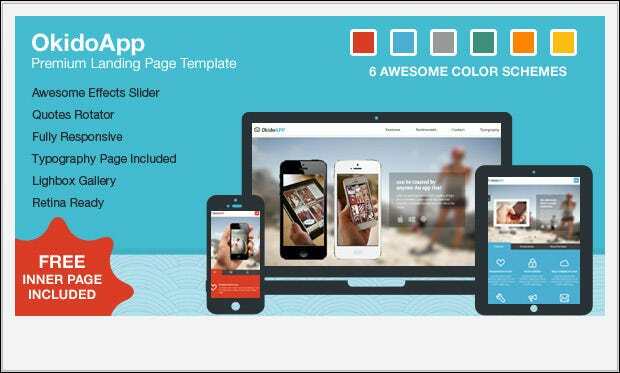 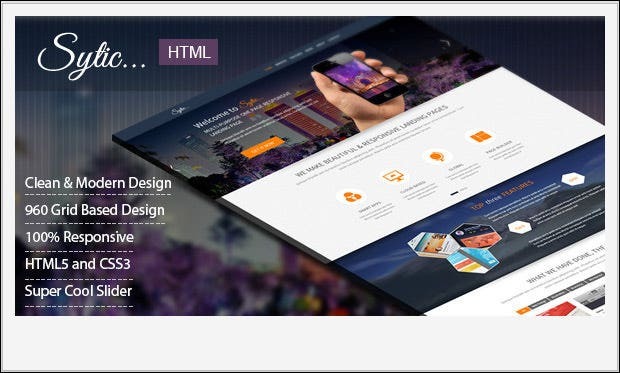 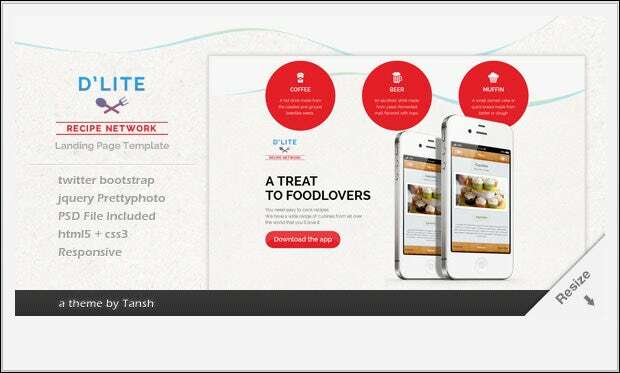 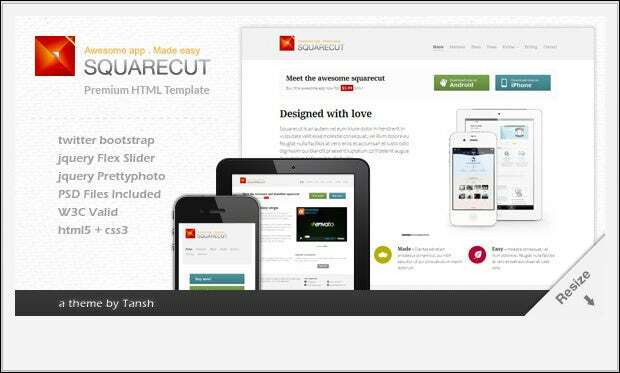 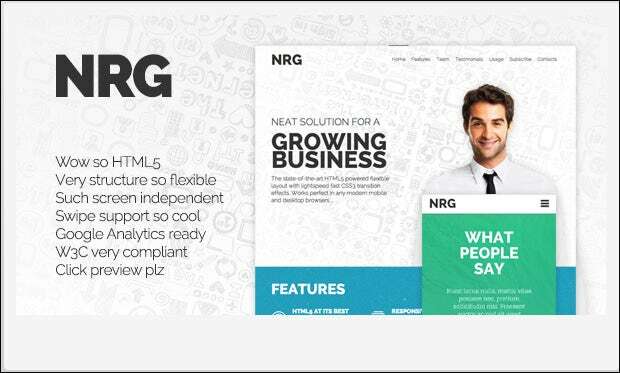 An exhaustive list of these templates is herein provided which would allow the designers to select the best possible option for their websites. 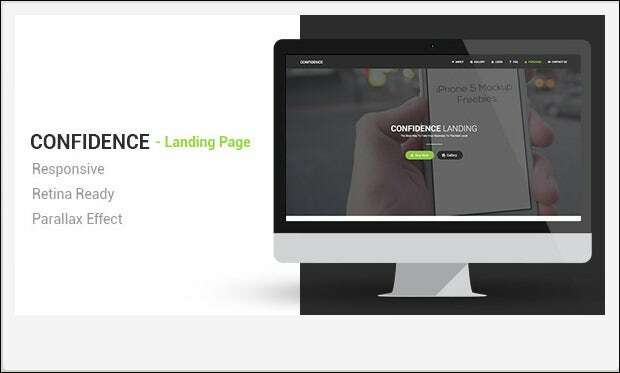 A responsive wordpress theme which includes a full screen slider as the landing page inclusive followed by multiple logo selections! 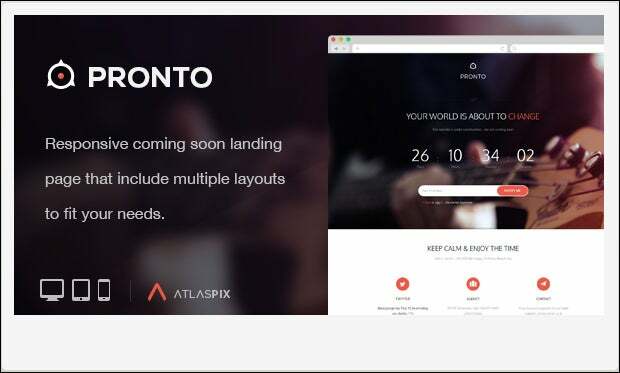 With a countdown timer at its disposal this responsive landing page template allows the professionals high end customization with multiple color changers. 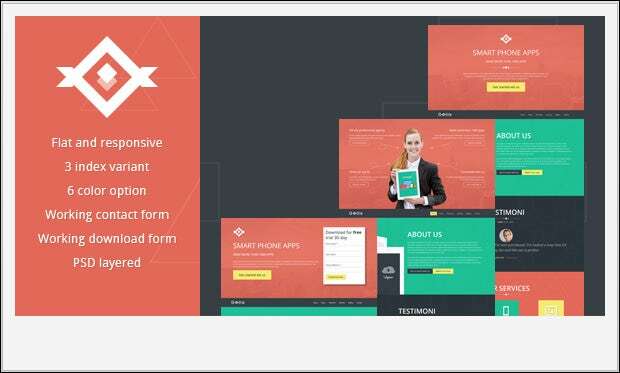 This theme provides a fully responsive layout with working contact forms for marketing purposes alongside layered PSD files and a documented framework. 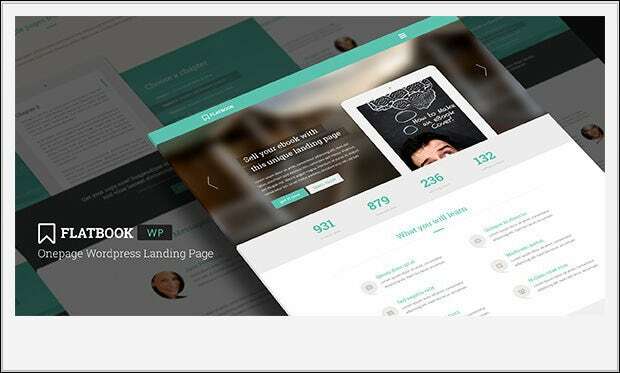 Launch your website like never before with this theme including multiple widgets and social icons for the professionals to make use of. 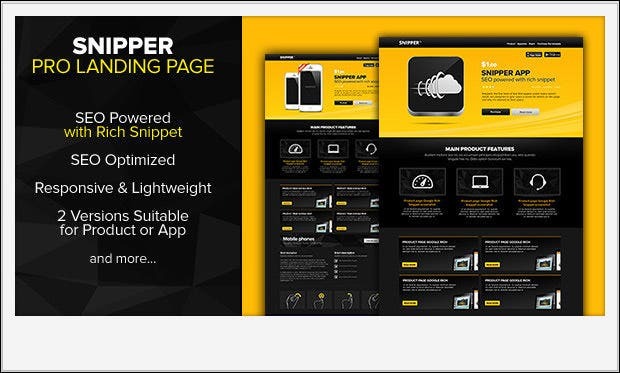 This sleek theme provides a highly responsive layout which can help showcase any product on including multiple color selections and a mobile friendly interface. 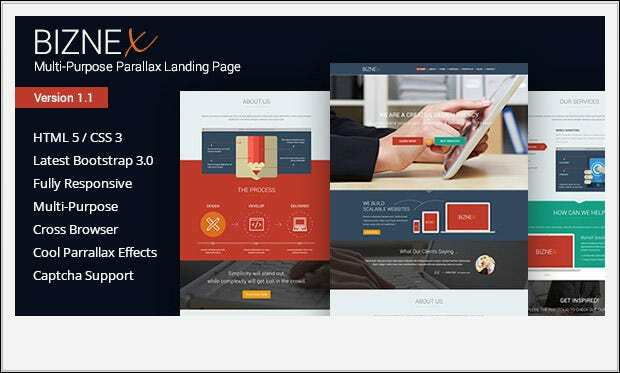 This landing page template boasts of a responsive layout alongside a parallax interface for the designers to work with followed by a quick Uploader. 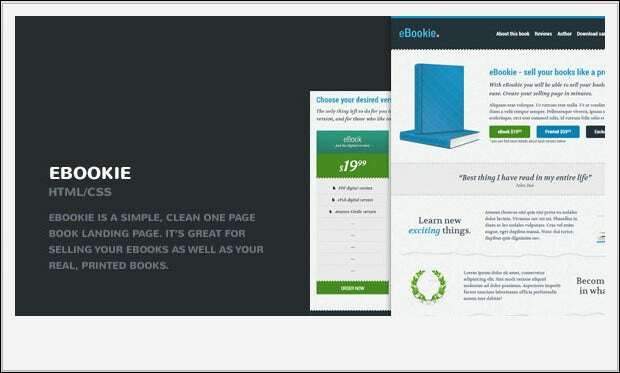 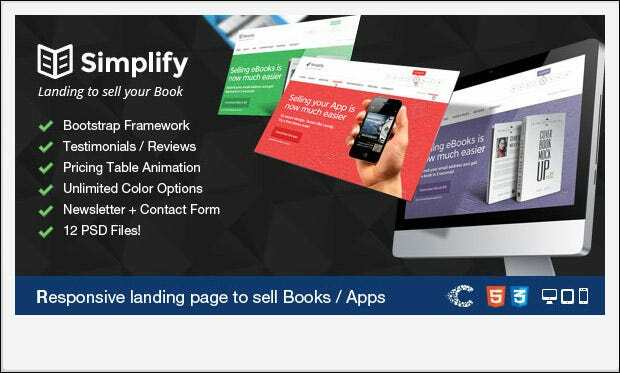 This is an eBook selling landing page template featuring a minimalist design scheme alongside unlimited color selections and a responsive layout. 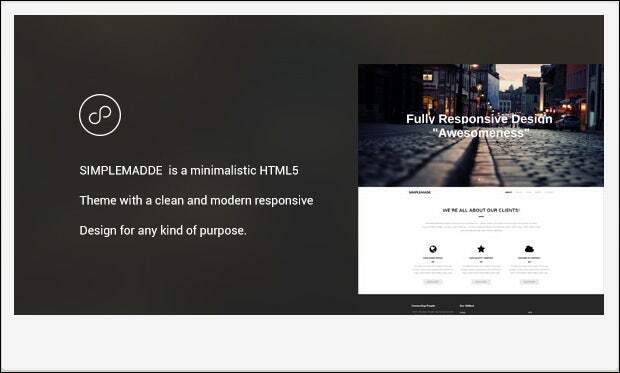 A business template with elegant coloring options and a built-in bootstrap which also features a well documented layout alongside SEO inclusions. 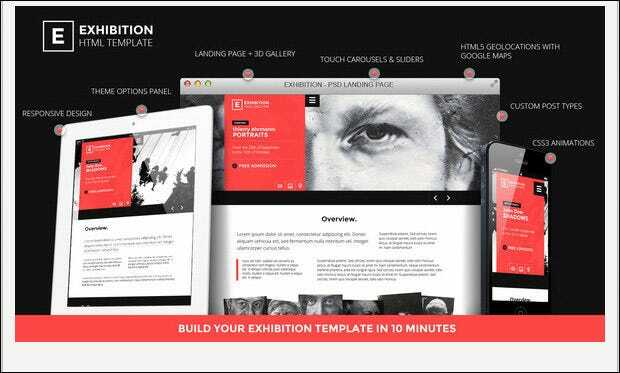 Meant for the art galleries, this theme includes a 3D gallery and customizable admin panel for additional support followed by the layered PSD files. 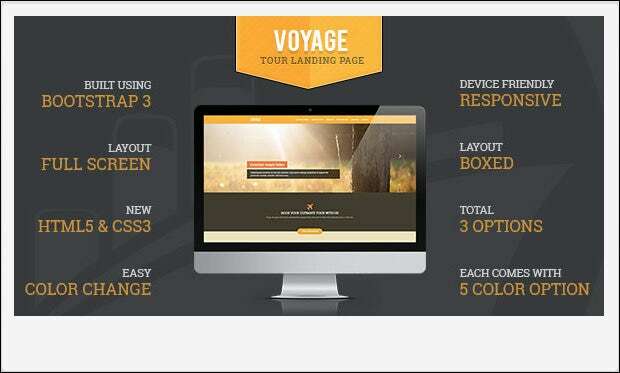 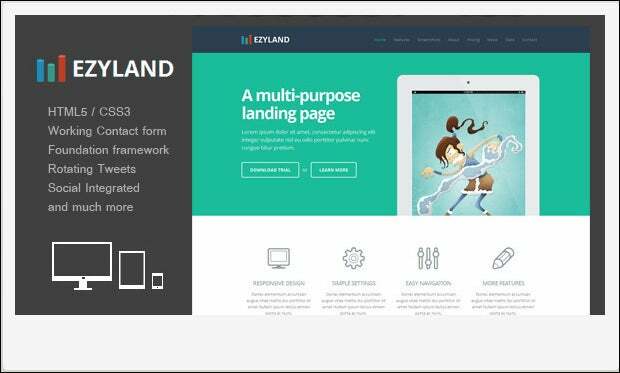 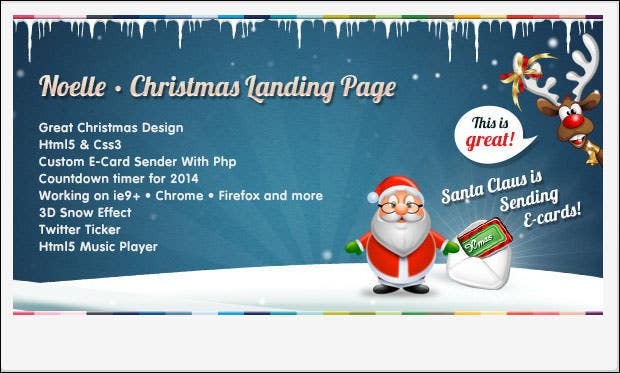 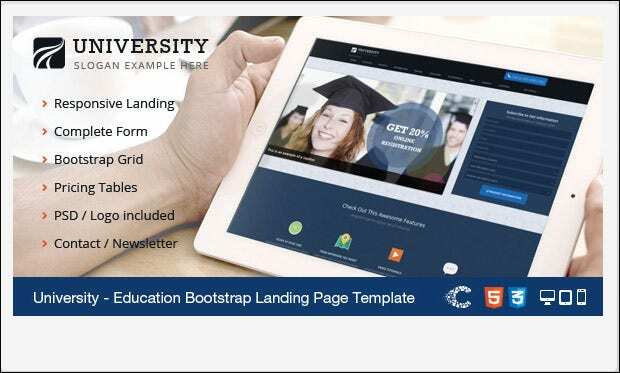 This landing page template features a highly responsive layout which also covers the multiple coloring basics in addition to unlimited font options. 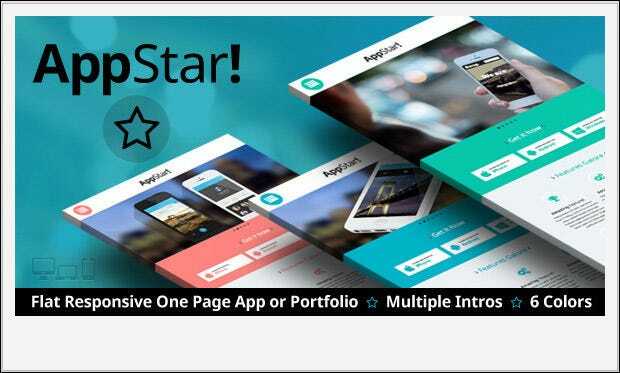 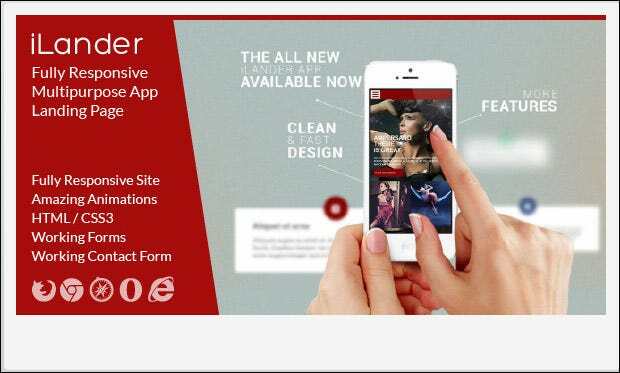 Mobile interfacing and 28 page builder blocks make this theme an instant hit among the professionals followed by the live theme customizer. 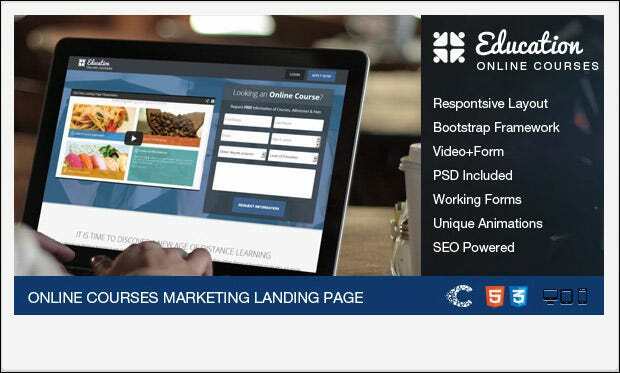 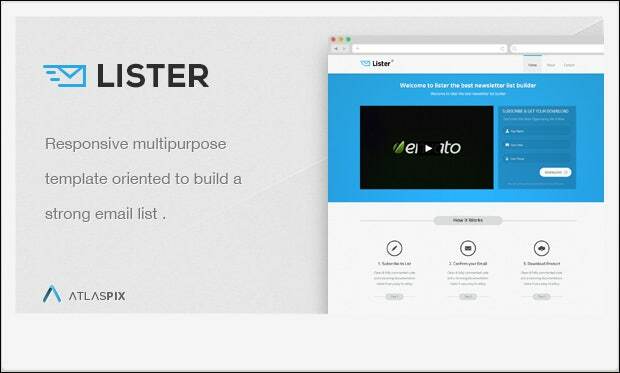 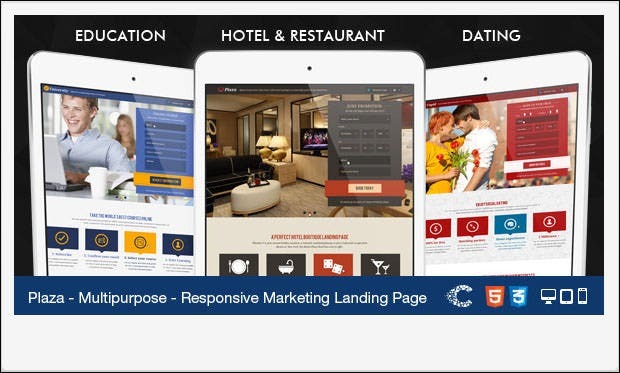 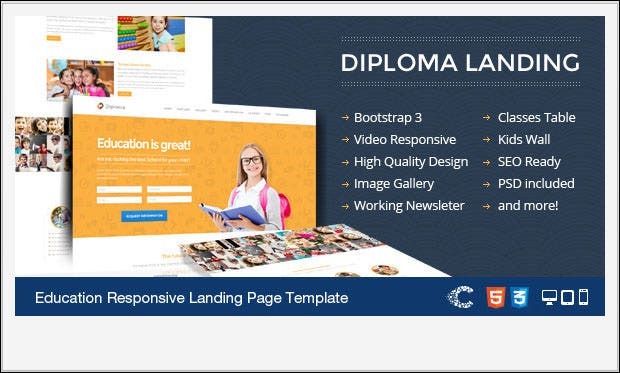 Cross browser compatibility and the responsive slider are the best features included alongside the video support for professional marketing purposes. 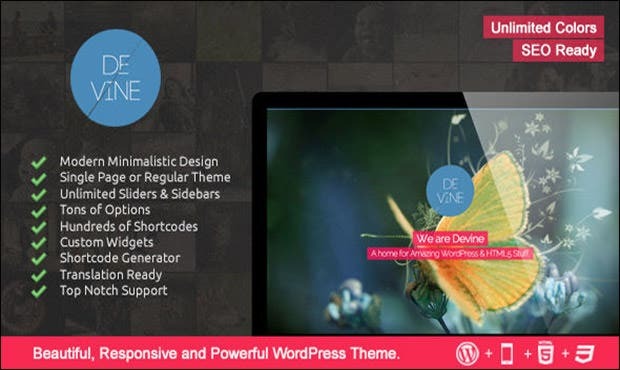 This is one aristocratic theme which provides features like grid based designing and multiple sliders in addition to web friendly fonts. 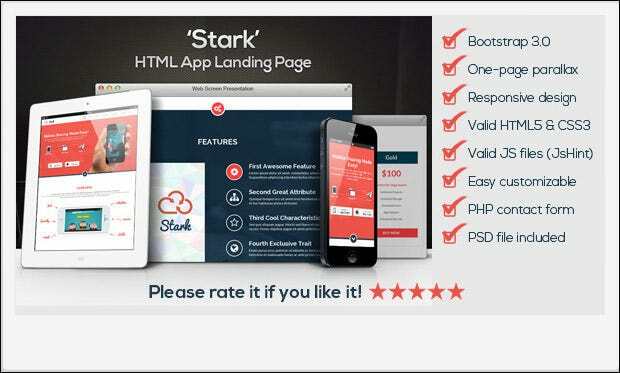 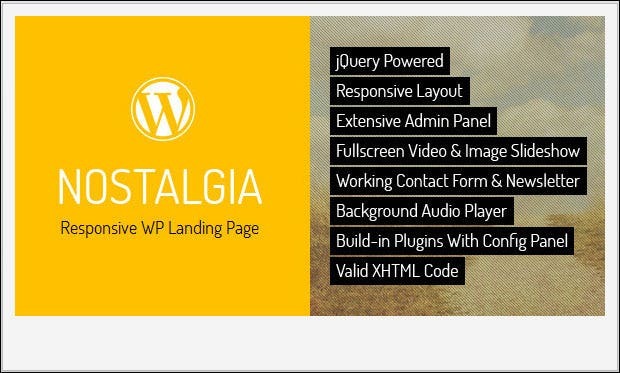 This theme includes a highly responsive layout in addition to the Ajax PHP newsletters and contact forms for the professionals to make use of. 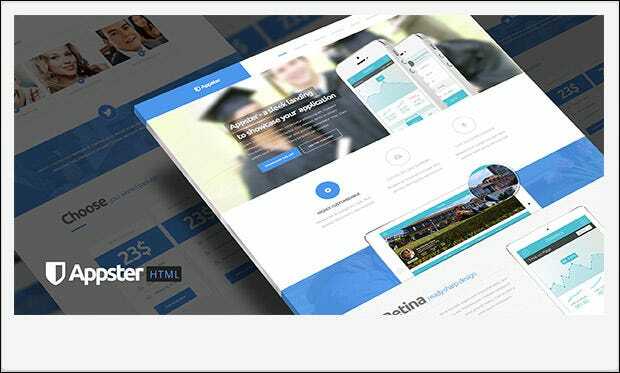 With high end mobile responsiveness and customized sliders, this theme comes in as a handy tool for the designers followed by cross browser compatibility. 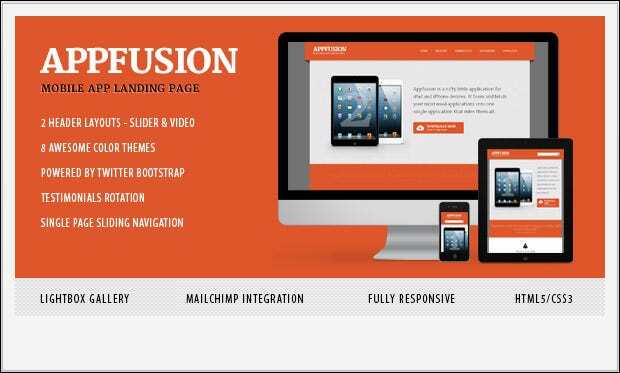 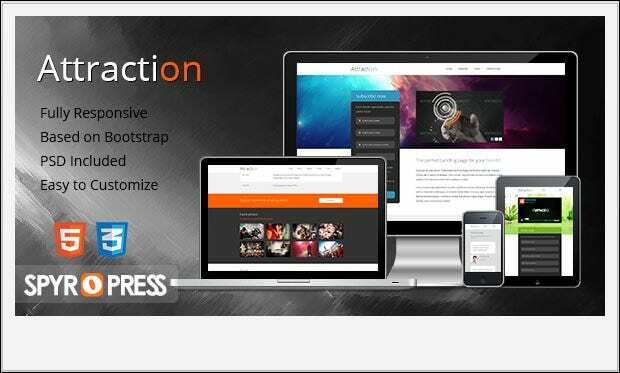 Call to action buttons and a highly responsive layout are the most exciting features associated with this theme followed by the CSS3 accordion. 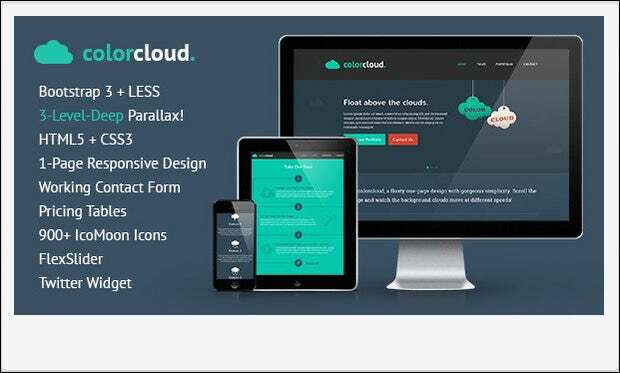 This theme provides multiple skin selections which come in handy for the designers whereas the vast collection of handpicked fonts is also available. 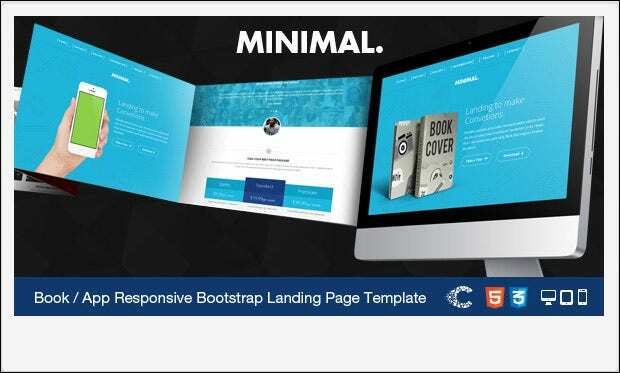 An extremely responsive layout in addition to the eBook creator makes this theme a handy landing page template followed by a grid based design. 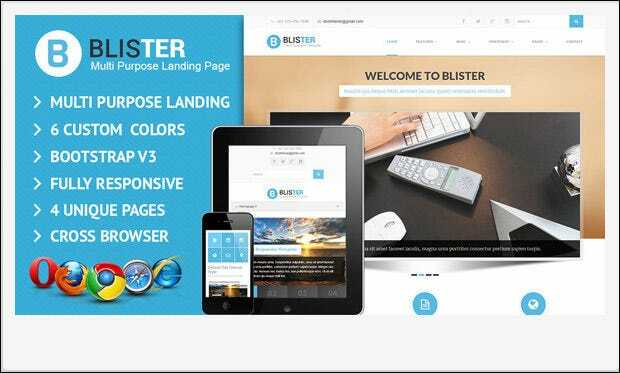 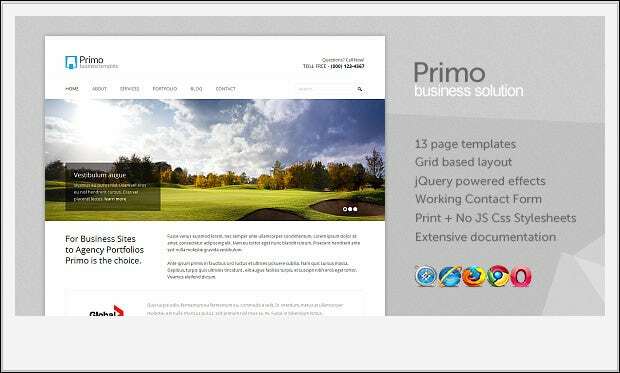 Cross browser compatibility is an option with this theme which also features well organized PSD files and post sales support for the professionals. 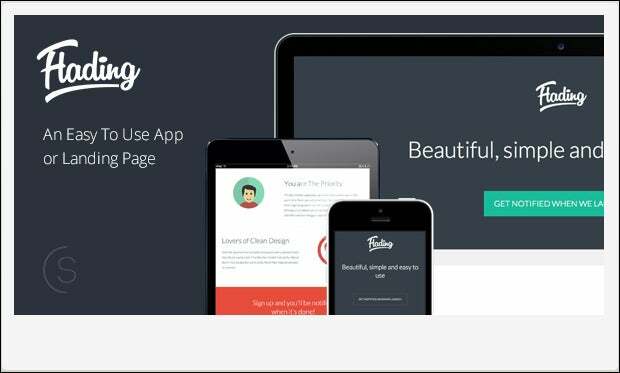 This theme sports a retina ready design for the designers alongside a touch swipe enabled support and a highly responsive layout. 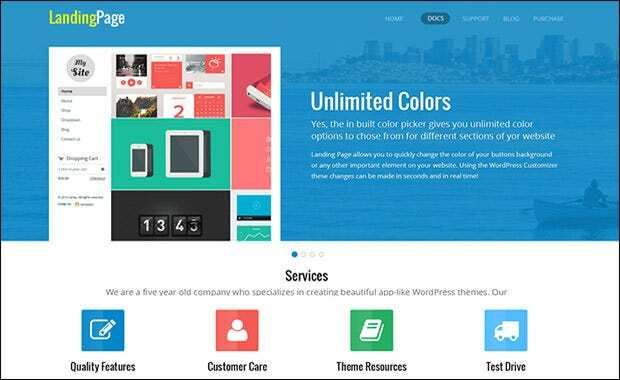 A customizable interface followed by multiple color schemes and a fully responsive layout add to the resourcefulness of this theme. 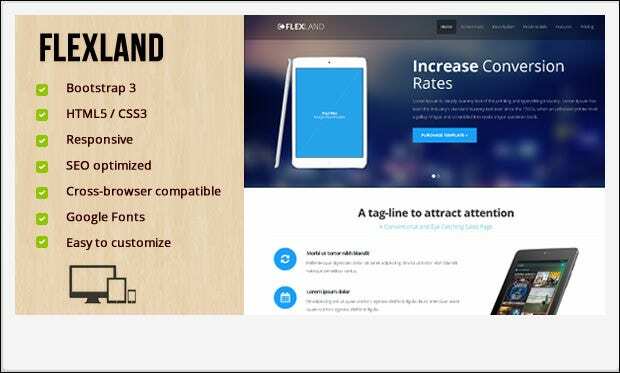 This theme includes a responsive interface with a one page navigator scheme for the professionals looking to include sleek yet utilitarian designs along. 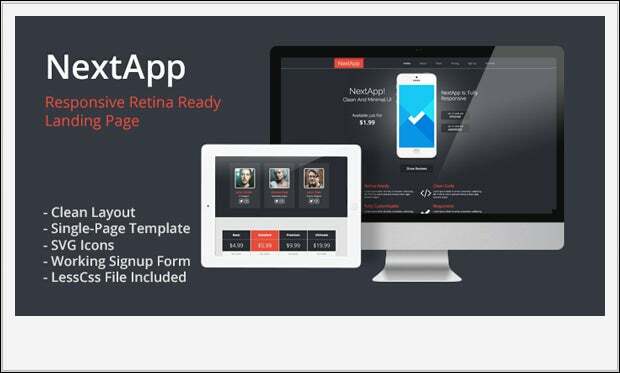 Multiple slider options are available along with video support and retina ready icons for the professionals followed by social networking feed. 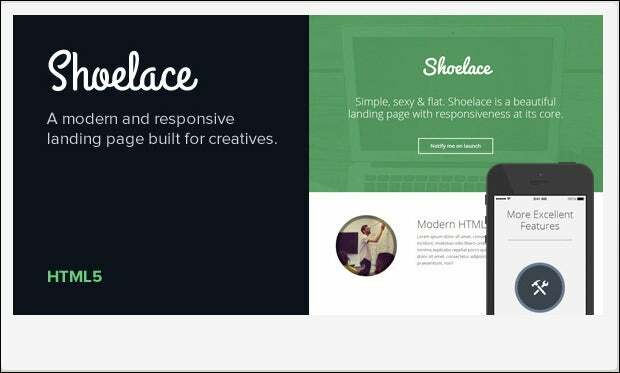 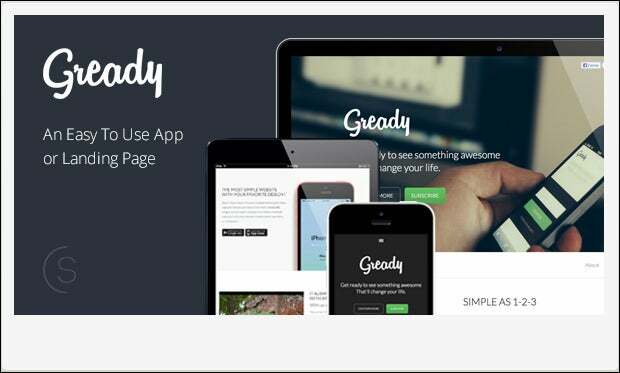 This theme includes a high end image gallery for the designers to look at whereas the SEO ready approach can come in handy. 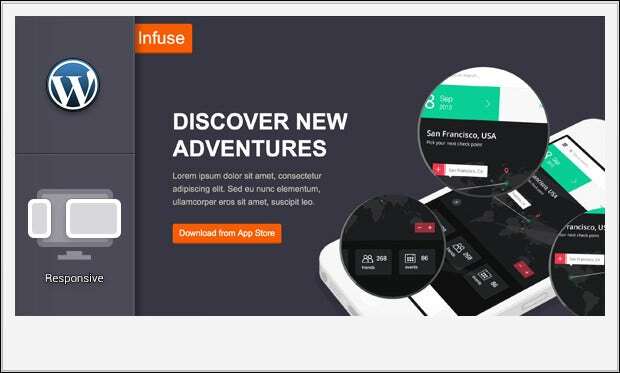 Cross browser compatibility is a feature available with this theme followed by web friendly fonts and Captcha integration for added security. 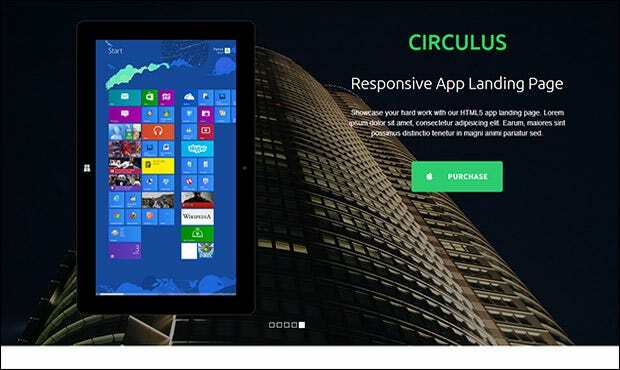 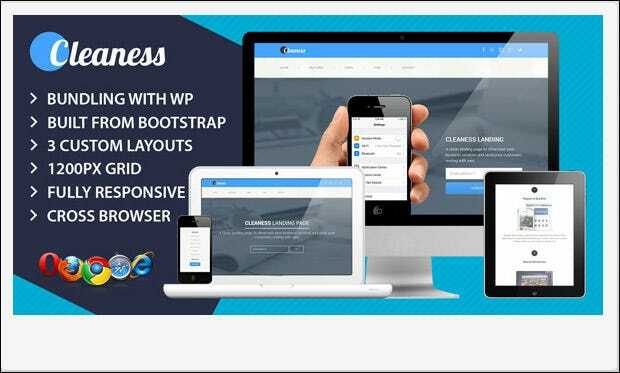 This theme showcases the software applications in the best possible manner with the highly responsive design and jQuery empowered interface. 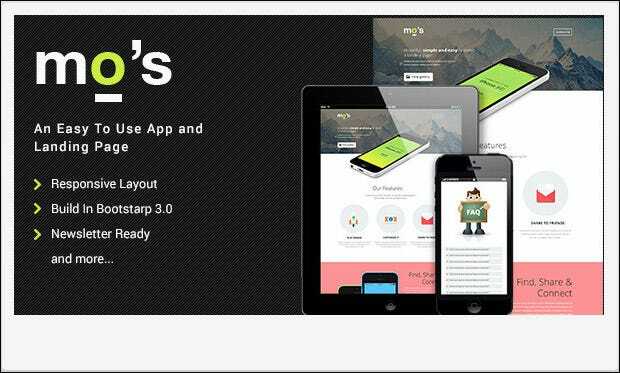 This theme includes a highly responsive interface followed by Google Maps integration for the professionals in addition to the pricing tables. 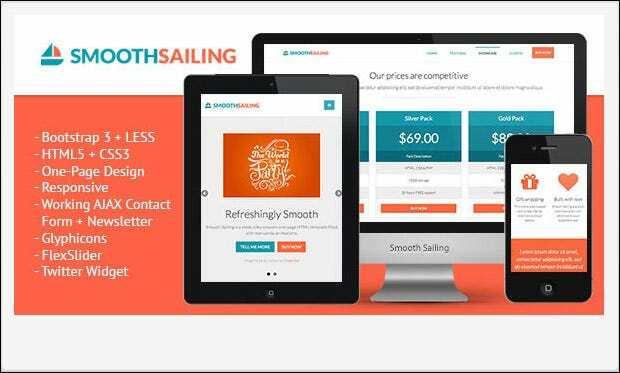 Working subscription is included alongside W3C valid design followed by multiple color selections and cross browser compatibility for the professionals. 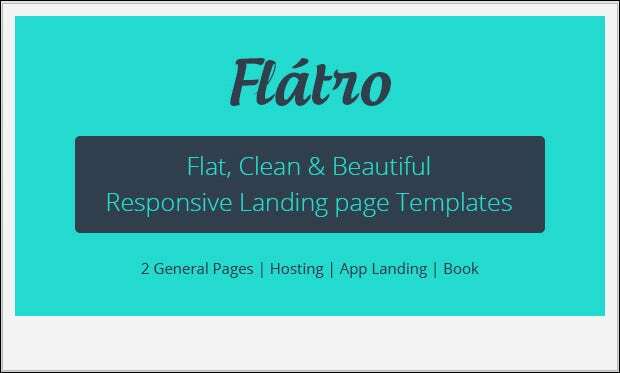 A classic template which adds to the landing page expertise with typographic and multilingual support in addition to the retina ready design! 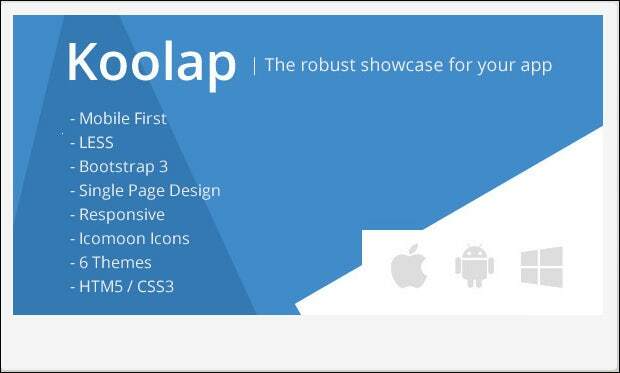 Tabbed navigation and the twitter bootstrap make this theme an instant hit as a landing page template followed by cross browser compatibility. 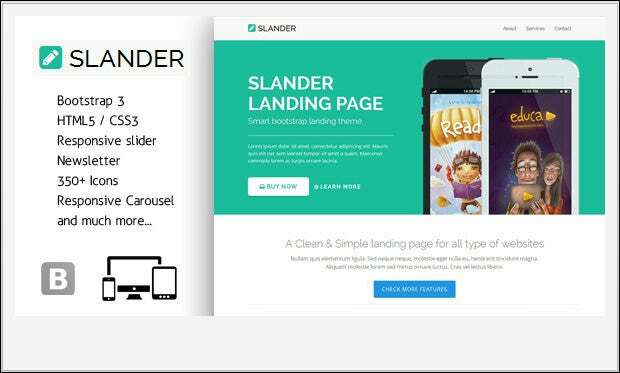 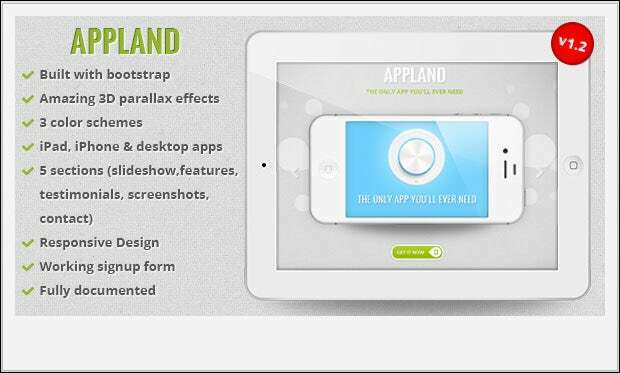 Flex and Parallax slider are the most exciting features involved whereas the Twitter feed can come in really handy for the professionals to make use of. 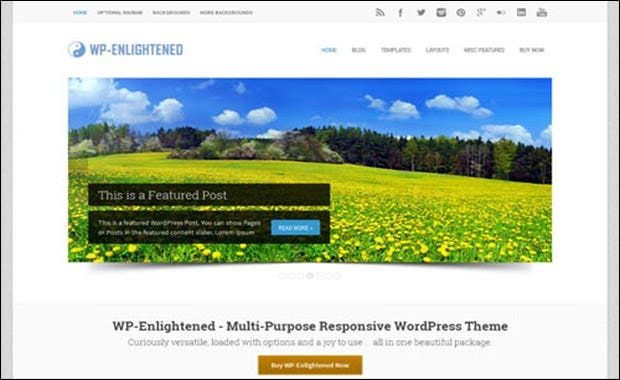 A wordpress empowered theme which comes along with multiple color selections and customizable portfolios in addition to an archives image gallery. 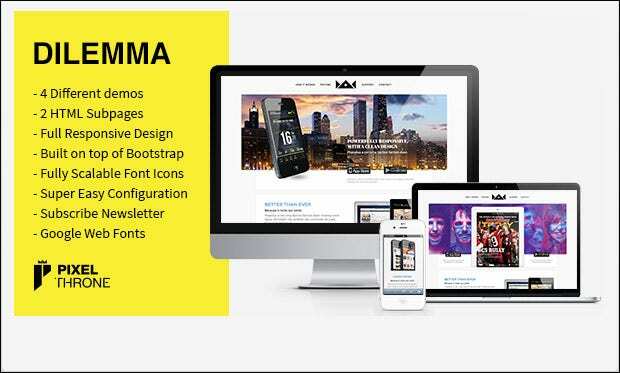 This theme supports a mobile interface with a fully responsive layout alongside a completely customizable and documented approach for the professionals. 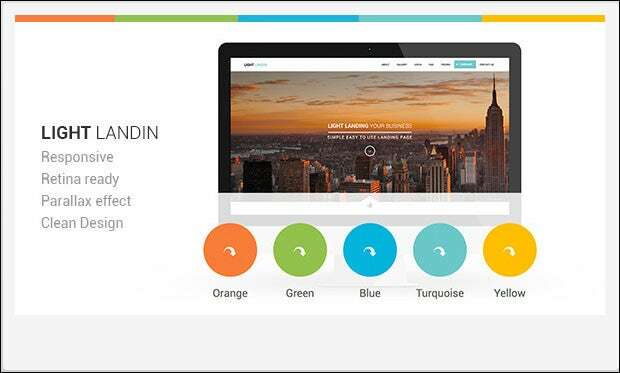 Multiple color options are included alongside built-in contact forms which provide a strengthened interface followed by 3 index variants and updated Bootstrap. 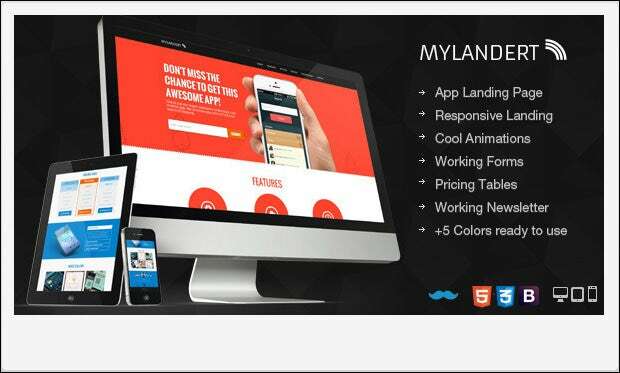 This theme includes a responsive design in addition to the highly functional slider and social icons for the designers to make use of. 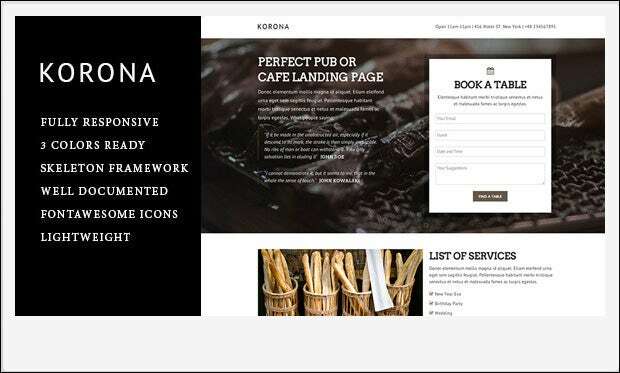 This theme provides a minimalist landing page design for the professionals alongside the cross browser compatibility, HTML5 markups and high end responsiveness. 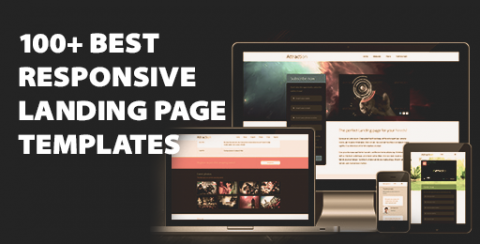 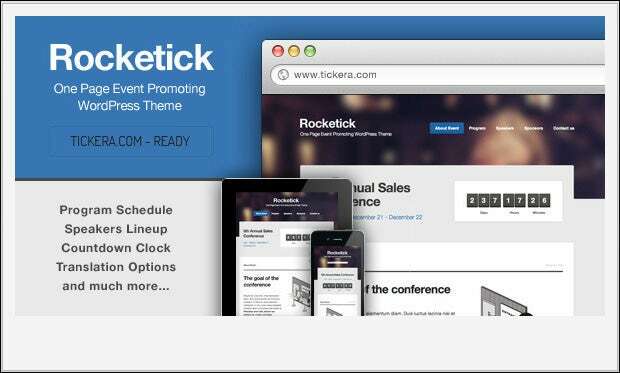 Mostly meant for marketing, this theme provides a subtle page viewing experience with multiple color schemes and the smooth page scrolling option. 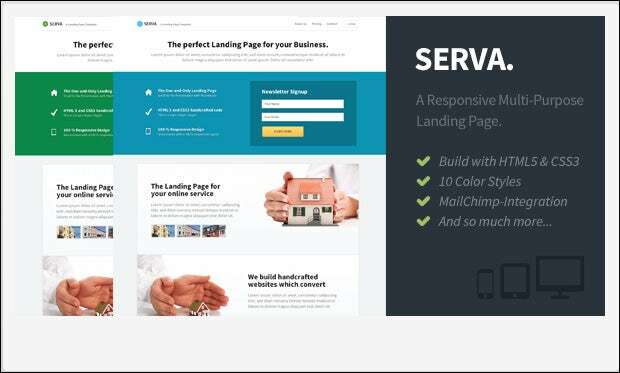 This theme has a highly responsive layout which is completely customizable and according to the modern SEO standards with an unlimited color palette. 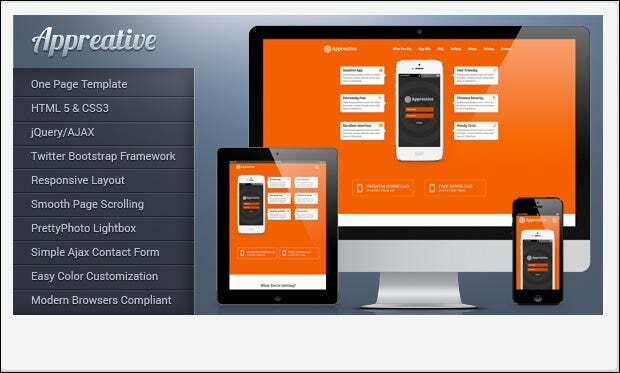 A theme which is tested over several mobile and desktop platforms alongside multiple shortcodes included into the scheme of things. 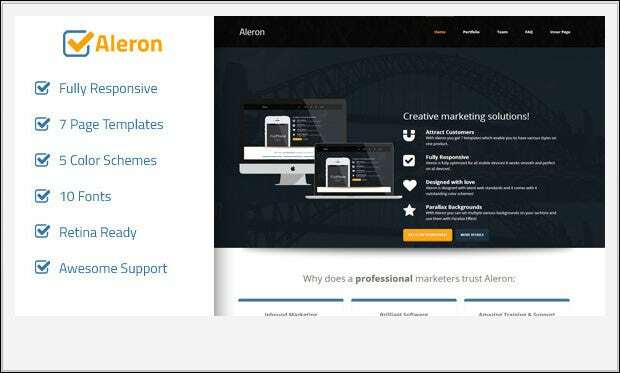 This one page theme comes with a highly responsive interface which allows better digital marketing strategies to be included in addition to multiple color schemes. 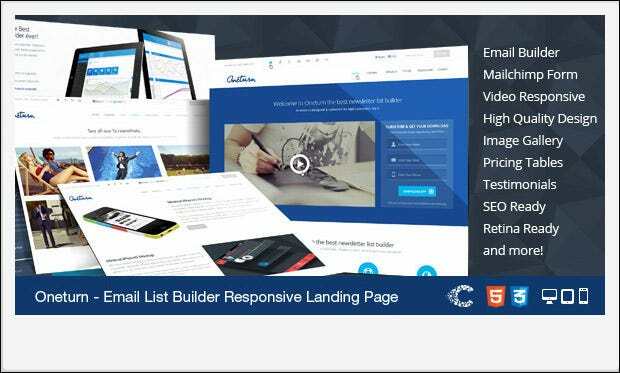 This includes a custom drag and drop builder with multiple sliders for an accentuated page viewing experience followed by cleaner designs and high end responsiveness. 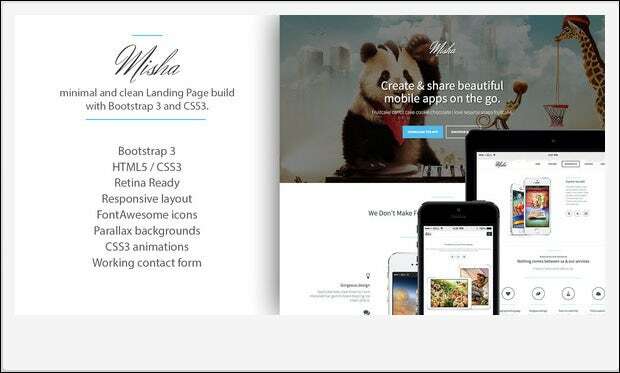 A theme which provides creative flexibility in the form of page customizations and multiple shortcodes followed by Ajax pagination and filterable portfolio! 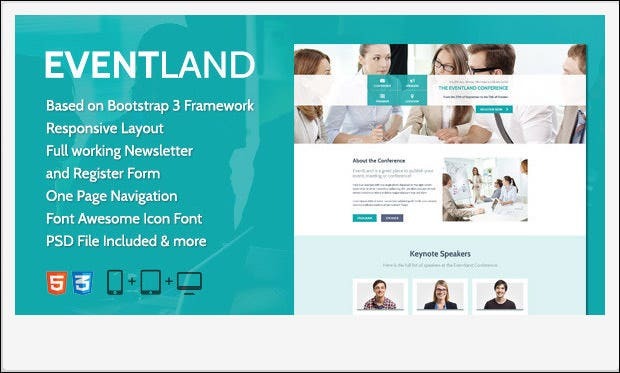 A theme which is easily configurable and includes custom post menus and countdown time for the professionals followed by integrated working forms. 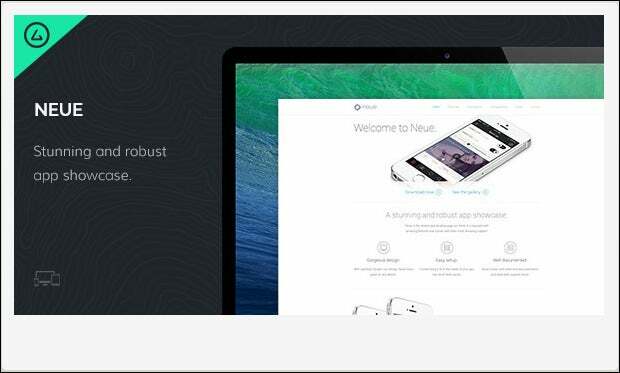 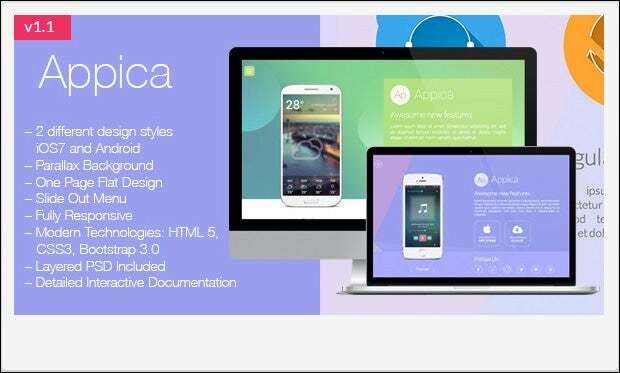 A retina ready support is provided alongside animated fonts for the designers in addition to the scrolling effects and detailed documentation. 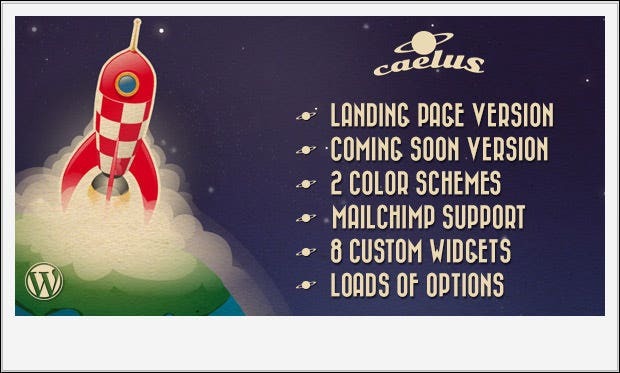 A theme which is dedicated to the freelancers and comes along with a highly responsive layout and infinite color variations! 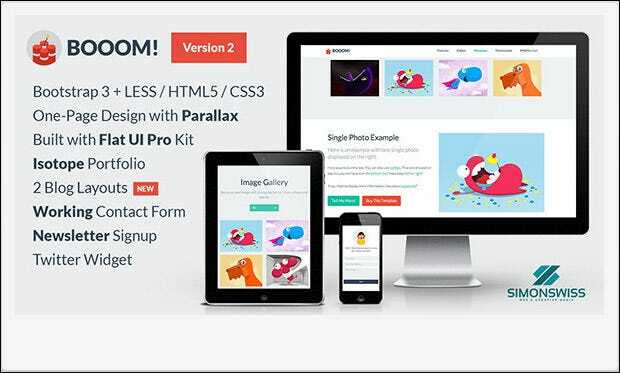 Awesome font and icon packs are included whereas the alluring parallax background provides a highly enriched viewing experience followed by a responsive layout. 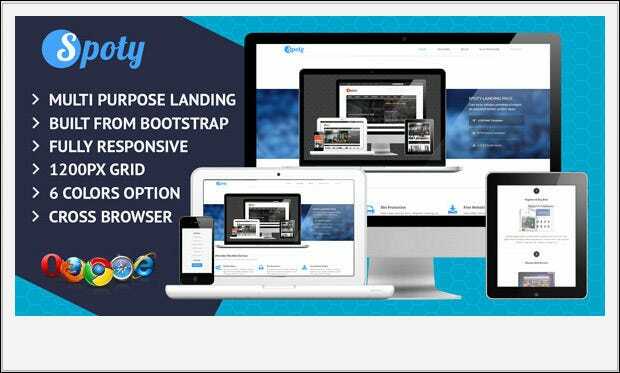 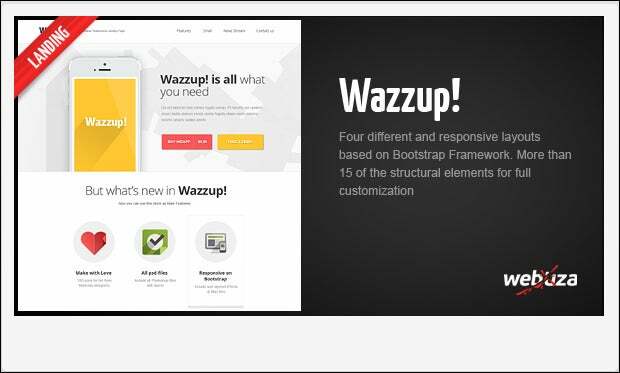 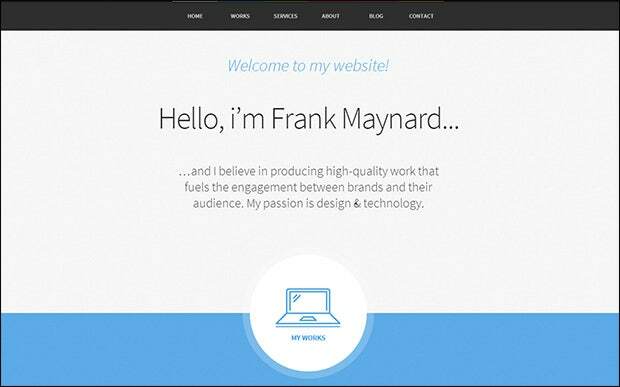 This theme provides a responsive layout while the one page design makes the installation easy for the professionals followed by the built-in bootstrap. 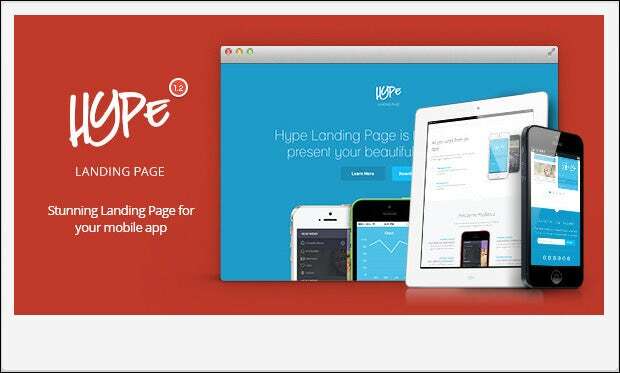 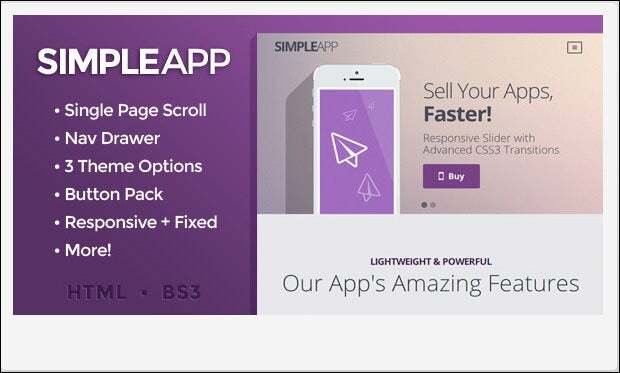 3 landing page deigns are included for an added flexibility whereas a large collection of 250+ icons come in real handy for the designers. 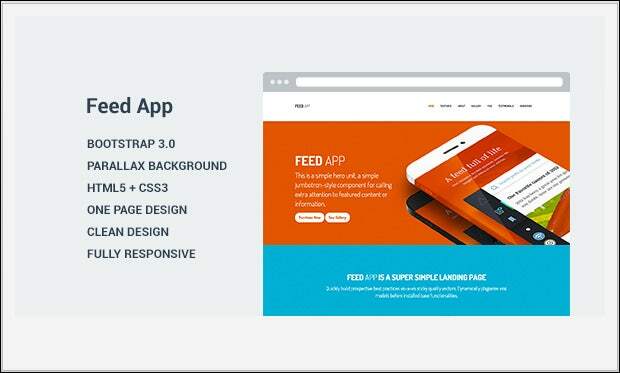 A flat responsive design is supported alongside utilitarian contact forms for the professionals followed by the built-in bootstrap and an exciting font collection. 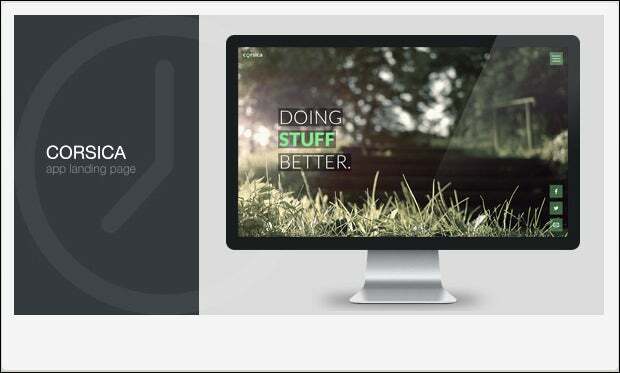 It also has HD quality background image.